Chopta is a completely untouched and unspoiled tourist destination which is slowly becoming popular. It is well known as a commencement point for many famous treks which include the Tunganath trek and the Chandrashila trek. Trekking activities are done here throughout the year where in the winter you can enjoy snow trekking. Apart from this the natural beauty of this area is astounding and this has given it the name of mini Switzerland. From Chopta you can get splendid and panoramic view of the Himalayan mountain range including, Trishul, Nanda Devi and Chaukhamba. 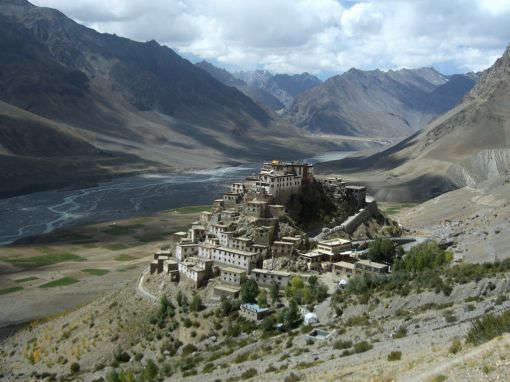 It is located at an altitude of 2680 meters above sea level. There is a rich variety of flora and fauna and the hamlet is surrounded by thick forests of deodar, pine, and rhododendrons. It is easy to access Chopta because it is located on the road that connects Gopeshwar and Guptkashi. You will wake up to the cool salubrious breeze and the chirping of birds here which is very soothing compared to the blaring horns of the city and the rampant commercialization in other hill stations. The morning view from this hamlet is very pleasant where the crimson sun rays kiss the snow clad Himalayas. You will need light woolens in summer and heavy woolens in winter if you are planning to visit Chopta. The hotels in Chopta provide comfortable facilities at affordable prices. Chopta, Tungnath and Chandrashila are covered with snow during winter. During the period between December and February you can witness snow fall and also be able to enjoy snow trekking. However, when the snowfall is heavy the roads near Chopta get blocked occasionally. However, it is possible to get Chopta tour packages both during winter as well as summer. Summer – Summers in Chopta are salubrious and pleasant. You can distinctly see the Himalayas and a cool breeze will add to the charm of the vacation. It is advisable to carry light woolens if you are visiting Chopta in the summers. Monsoons – Chopta turns into a lush green land during monsoons and this greenery is especially welcoming. You can sip tea while gazing at the snow laden peaks during this romantic season. The roads may get blocked for a few hours due to landslides, but the beauty of this hamlet during the monsoon makes this risk worth taking. Make sure to carry raincoats during this season. Winters – The hamlet of Chopta is serene and provide maximum solitude during winters. There is snowfall and there are very few accommodation options available. However, the best of Chopta can be experienced during this season as it takes on the appearance of a mini Switzerland. Winters can be very cold so it is advisable to carry heavy woolens. Of course you can plan your own trip to Chopta, but is is advisable to take some expert guidance from travel agencies. This will ensure that you get good accommodation at reasonable rates and also have some tour guides to lead you through the local area. If however, you plan your own trip it will be a good idea to conduct some research online before you set out on your journey to Chopta. This will help you in making your stay hassle free. Nice explain about Chopta tourism!!!.. Now Chopta is the best tourist attraction, you can say this Heaven On Earth. Nice post, I like this so much, thanks for sharing that type of post. If you want to more know about Chopta so please discuss with me.